Hi everyone! This is the first blog tour that I organized, of course with the confirmation from the author and we are so excited for this. This blog tour includes a giveaway and it'll be 5 e-books and 1 paperback copy. There will be 6 winners all in all. The blog tour focuses mostly on review posts but then the author is willing to accept interviews it can be author/character. Guest posts, spotlight and excerpt are acceptable too. Electronic copies will be given to those who signed up. There will be 2 hosts each date if possible. Thank you! 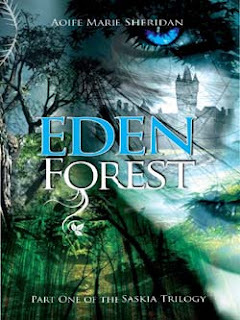 When Sarajane is taken to Saskia, she could never have imagined the reality of the world she steps into, a world where magical abilities are in everyone's possession.